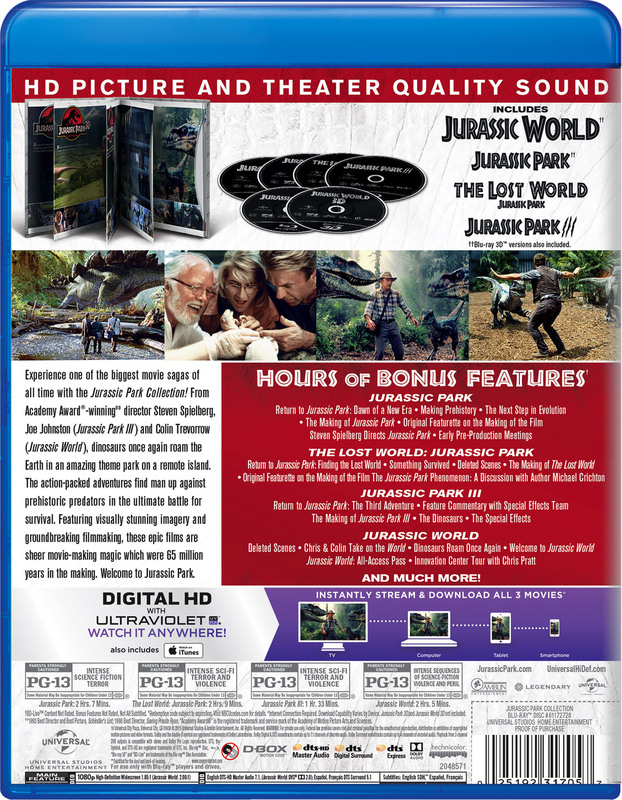 Experience one of the biggest movie franchises of all time with the Jurassic Park Collection! 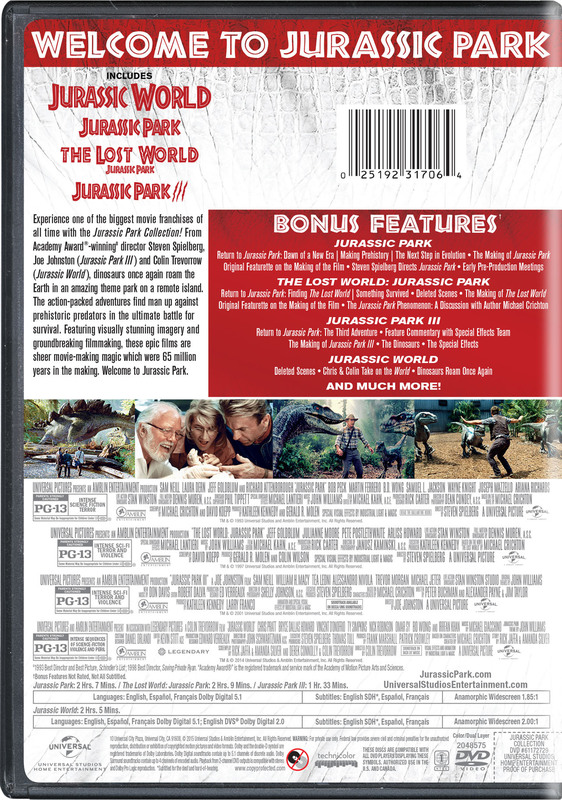 From Academy Award®-winning director Steven Spielberg (Jurassic Park, The Lost World: Jurassic Park), Joe Johnston (Jurassic Park III), and Colin Trevorrow (Jurassic World), dinosaurs once again roam the Earth in an amazing theme park on a remote island. The action-packed adventures find man up against prehistoric predators in the ultimate battle for survival. Featuring visually stunning imagery and groundbreaking filmmaking, these epic films are sheer movie-making magic which were 65 million years in the making. Welcome to Jurassic Park.